Today on Writer’s Wednesday we welcome Rachel Hauck, author of The Writing Desk. Enter below for a chance to win a copy of The Writing Desk! Congratulations to Laurie Tomlinson who won a copy of Elizabeth Byler Younts’ The Solace of Water! Note: This post contains affiliate links. 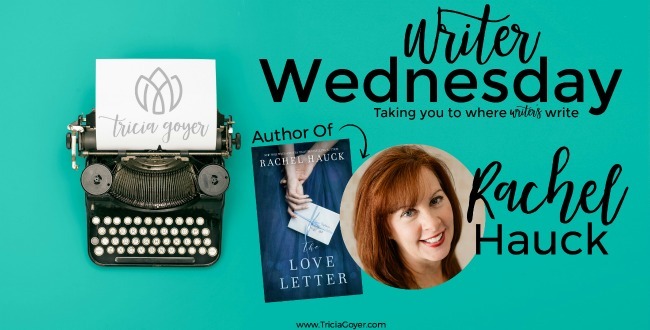 Rachel Hauck, the author of new book The Love Letter, shares her writing space(s) on this week’s Writer Wednesday. My office is an octagon shaped turret with a copula designed and built by a former Pixar artist. My workspace is on the second floor – hubby is on the first – and my window view is of the backyard trees. I feel like I’m working in a treehouse. Only with air conditioning. However, the tower-like structure is also called the turret and became my “tower” and the perfect inspiration for writing The Royal Wedding Series. 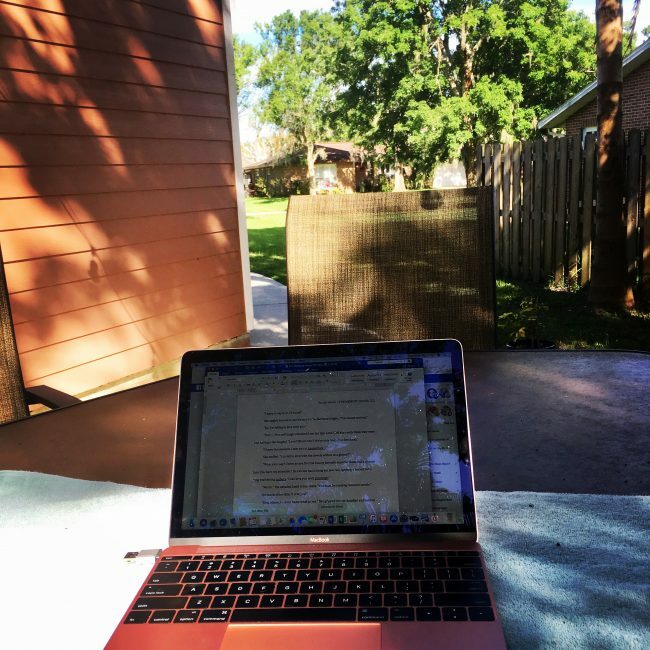 Rachel Hauck shares her writing space(s) on this week’s Writing Wednesday. Once Upon A Prince was the first book I wrote here. Since then, there have been so many fun moments starting and finishing a book. Plus all the agonizing days in between when the middle felt so sluggish and dull. My office is for writing. As cool as it is, I don’t hang out here unless I’m working. It’s a treasure to have space at home I only use for work. I start my writing day between 10 a.m. and Noon, depending on how close I am to deadline. When fast drafting, I may be done by 5:00 p.m. but otherwise I work until 7:00 or 8:00 p.m. Mid-afternoon I take a snack break since I try not to eat at my desk. A writer’s life is sedentary enough without adding food to the work mix. My other afternoon break comes from sweet fur babies—a couple of Yorkies walking their owner. They come by to visit and chow down on a treat or two. But really, let’s talk about the obvious—that giant picture of my husband and me on the left-hand side of the office photo. Isn’t that hilarious? Here’s the scoop. The pic was taken during our brief career as extras in a Hallmark movie. In costume, the official Hallmark photographer snapped the shot. When we got home, I had this bright idea to create a print as a memento. Even better, a canvas of our time in the movies. Cruising the internet, I found Canvas.com and picked the size they had on sale. Twenty inches by something… I didn’t really calculate the size. Who cares, right? A week later when the package arrived, I could not stop laughing. It was huge! A good idea gone bad. Where was I going to hang it? Not in the house. My husband, a pastor, joked about hanging it in the church foyer. But, um, no. So, I carried it up to my office and hung it beside the bookshelf. From the angle in the picture, you can’t tell but the image is actually hidden unless you walk around my desk. I forget it’s there most of the time. But I don’t always work inside. In the early spring and late fall, I like to work out on the deck. I can spend the entire day out here. Until mosquitos and no-see-ems time start nibbling at my legs. Then I have to call it quits. 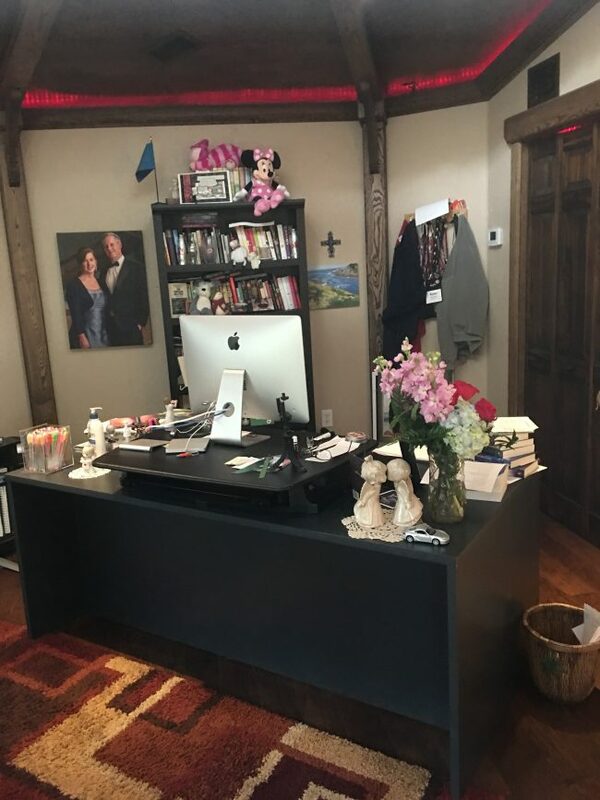 So, there’s my office spaces and a small peek into my writing life. Thanks to Tricia for sharing this space with me. Centuries earlier, in the heart of the Revolutionary War, Hamilton Lightfoot and Esther Longfellow wrote their saga off the silver screen. Esther’s Loyalist father opposes any relationship with Hamilton, but Esther must face her beloved father’s disapproval and the dangers of war in order to convince Hamilton of their future together. 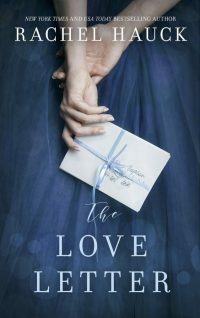 Hamilton has loved Esther for years and on the eve of battle pens the love letter she’s always wanted—something straight from the heart. Rachel Hauck is an award-winning, New York Times, USA Today and Wall Street Journal bestselling author. Her book The Wedding Dress was named Inspirational Novel of the Year by Romantic Times Book Reviews. She is a double RITA finalist and a Christy and Carol Award Winner. Her book, Once Upon A Prince, first in the Royal Wedding Series, was filmed for an Original Hallmark movie and aired in April 2018. It was the #1 show for its time slot and #3 for the week in cable programming. Rachel has been awarded the prestigious Career Achievement Award for her body of original work by Romantic Times Book Reviews. 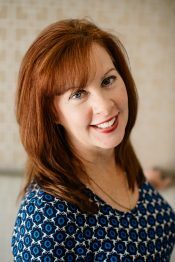 A member of the Executive Board for American Christian Fiction Writers, she teaches workshops and leads worship at the annual conference. In other news, she’s the comical sidekick to Susan May Warren at the amazing My Book Therapy. At home, she’s a wife, writer, worship leader and works out at a local gym semi-enthusiastically. A graduate of Ohio State University (Go Bucks!) with a degree in Journalism, she’s a former sorority girl and a devoted Ohio State football fan. Her bucket list is to stand on the sidelines with Urban Meyer. Thank you for the office tour. I actually like the picture since it’s a momento from a movie set. Now we need to see a picture of your ornery cat. I can’t wait to read your book, especially with all ofmthe good buzz it’s getting.